Podcasters need music to add intro, bumpers, etc. to their shows. Often music that podcasters want to use is licensed and unavailable for them to use legally. Blubrry’s relationship with SourceAudio provides music that is fully licensed to be used in podcasts. You may purchase pod-safe music in two ways. How to get your music: Browse and play before you buy. Sample sounds, tracks, etc. that you’d like to use. Decide which way you’d like to use it. Monthly subscriptions are best for when you’d like to have a variety of music to utilize episode too episode. With over 600,000 pieces of music to choose from you can find the right track to match your shows content. Find tracks on this site, podcastmusic.blubrry.com. Massive music and SFX collection: Over 600,000 tracks! Unlimited use: For a low monthly fee, unlimited downloads, unlimited music per episode. Unlimited episodes covered each month. Whether you release new episodes daily or monthly, everything you produce each month is covered. You name it, we’ve got it: PodcastMusic has partnered with some of the best music publishers, libraries, and catalogs to bring you the deepest selection of music and sound design elements available anywhere on one perfect platform. Every genre, every format, everything you need! License designed for podcasts: Our SMART license covers all the rights your podcast needs, including the Direct Performance License. Cancel anytime: Need to take or break or ending production? Just cancel your subscription and rejoin anytime. Great for: Music Exploration, Heavy Music Use, Holiday Themes, Sound Design, Storytelling, Bumper Music, Radio Theater. $9 a month for general podcasters. Buy out the music outright. This is an option if you want a single track to use over multiple episodes and it’s more convenient for podcasters with multiple podcasts. Licensing is handled on a track-by-track basis. Find tracks on this site, buyout.blubrry.com. A la carte licensing: Need just one or two tracks? Just license what you need! Over 200,00 tracks: Tremendous selection of music beds and sound effects. Use in your podcast forever: License once, use always. Variety of price points: Pick the track that works with your budget. License designed for podcasts: Bundles the same rights as the subscription license. Great for: Theme songs, just starting out, don’t need the massive subscription collection (yet). Buy Out Pricing: Varies from track to track. 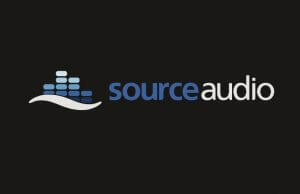 SourceAudio is a leading music licensing platform, providing services to thousands of companies. Their network-based approached utilizes a cloud based ecosystem. Learn more about SourceAudio.